We provide a full range of packaging services. You can contract with CDC Packaging for a single task or have us to handle the entire packaging process, from design through shipment. 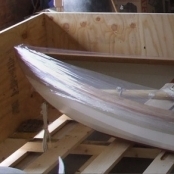 Either way, you will benefit from a team with more than 20 years experience solving shipping challenges. If you are shipping sensitive, expensive, or specialized equipment, you need packaging that will protect it from shock, vibration, moisture, and other dangers. 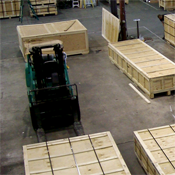 Let our team design a custom packaging solution that will guarantee safe transport. Our mobile packaging team will travel to any site in the Northeast to prepare your equipment for transport. We specialize in clean room protocols and are current on all international export regulations.